It is indeed for me a great honor to be called upon to present the introductory paper at this symposium. I regret that I cannot appear personally. 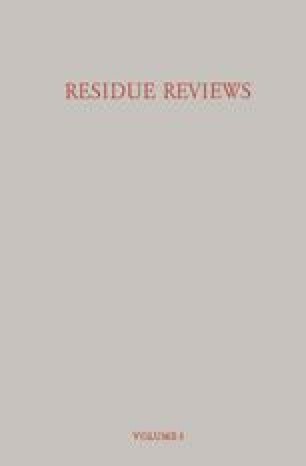 In my view, the purpose of this introduction is not to lecture on new techniques of residue analysis, which will be treated anyway in special papers. Furthermore, it would be tantamount to nothing more than a platitude if I were to point out to this group that the problems and techniques of residue analysis cannot be properly dealt with in thirty minutes. Comprehensive reports have recently been published which give a better presentation of this subject: in English by Gunther (1962), in German by ourselves (Frehse and Niessen 1963), and in French by Lemoan (1962).